Chabad of NW Metro Denver is pleased to announce the formation of a Jewish youth group called C-Teens. This Sunday February 9th at 4:00 pm C- Teens will be ‘Jammin’ and Schmoozin’ with Dr Laz’ at an event in a private home in North Metro Denver featuring musician Dr. David Laz. Teens are encouraged to bring an instrument and join Laz in a musical gathering of songs, stories and uplifting life lessons. A light supper will be served. The need for a Jewish youth group in the North Metro Denver has grown out of the success of Chabad’s Hebrew school – witnessing a steady stream of graduates looking for greater engagement in Jewish life once Hebrew School is out. Julie Weaver of Broomfield whose two children both recently graduated Chabad Hebrew school is delighted at this development. 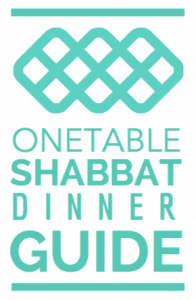 “We are thrilled that Chabad of NW Metro Denver has initiated programs specifically geared to teens, these type of activities are critical to help strengthen their Jewish identity of in our dynamic society”. Additional meetings are planned between now and June. For more information about this and future programs please visit www.COJewish.com/teens or call Rabbi Brackman at 720-984-5805. Dr. Laz played drums for the Grateful Dead, performed at the Woodstock 20th and 25th Reunions and now plays all over the world sharing the Jewish message of peace through his music – an eclectic blend of rap, rock, blues, reggae, jazz, bluegrass and gospel. In 2004 the movie ‘Crown Heights‘ that portrayed the story of the inter racial strife between blacks and hasids in that Brooklyn neighborhood, featured actor comedian Howie Mandel playing the part of Dr. Laz who worked hard in the hasidic community of the 1990’s to mend tensions between the two groups.